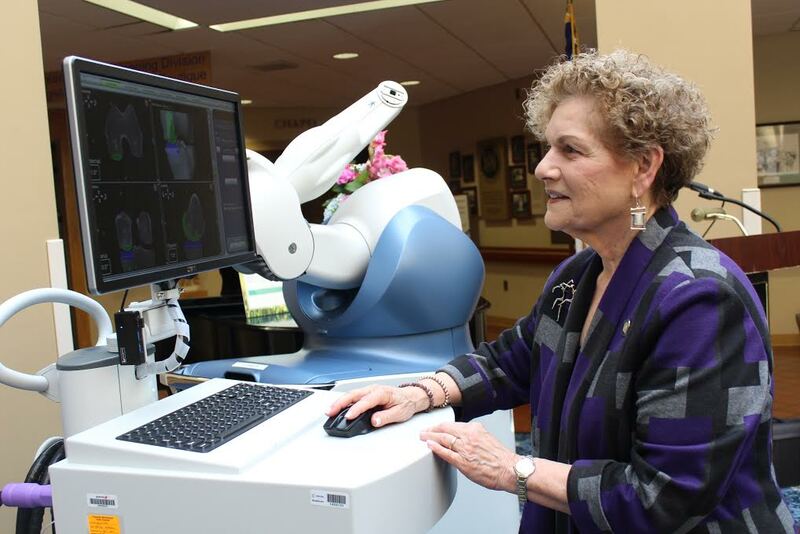 Surgeons, nurses, OR staff and Board members join Mary Leahy, MD, CEO of Bon Secours Charity Health System, and Assemblywoman Ellen Jaffee to cut the ribbon for the new Mako Robot. 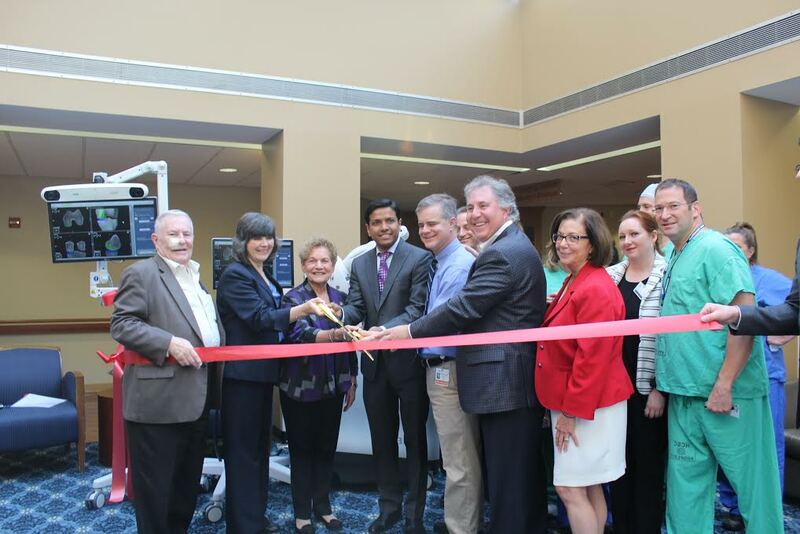 A Ribbon Cutting Ceremony was held at Good Samaritan Hospital today to announce that the hospital is the first hospital in the region to offer Mako robotic-arm assisted knee and hip replacement procedures. This latest advancement is changing the way joint replacement surgery is performed. Robotic-arm assisted surgery is a new approach to joint replacement that offers the potential for a higher level of patient-specific implant alignment and positioning. The technology allows surgeons to create a customized 3D plan and perform joint replacement surgery using a surgeon-controlled robotic arm that helps the physician execute the procedure with a high degree of accuracy. Assemblywoman Ellen Jaffee tries out the new Mako Robot technology. The Mako partial knee application is a treatment option designed to relieve the pain caused by joint degeneration due to osteoarthritis that has not yet progressed to all three compartments of the knee. By selectively targeting only the part of the knee damaged by osteoarthritis, surgeons can resurface the diseased portion of the knee while helping to spare the healthy bone and ligaments surrounding the knee joint. Studies have shown robotic arm-assisted partial knee replacement to be two to three times more accurate than manual partial knee replacement procedures. The Mako total hip application is a treatment alternative for adults who suffer from degenerative joint disease of the hip. Here, the surgeon guides the robotic-arm during bone preparation while readying the hip socket and positioning the implant according to the surgical plan. For more information, call the Joint Hotline at 845-368-5884.